I’m writing you to tell you how pleased I am about the company’s service. I was a little hesitant at first because you hear all of these stories about companies cleaning your credit and they really don’t do anything. It took me a year to finally decide to choose you for this venture. Well I’m writing today to tell you that I’m very well pleased with the results that I have so far. My first cycle which was 30 to 45 days came back with amazing results. So amazing that I could not believe it myself. There were 30 things that had dropped off of my credit the first cycle. That really made a believer out of me. I shouldn’t have waited so long to persue this but I had my doubts. Now I don’t have any doubts at all about the program it is well worth it. Now I’m excited to see my next cycle results. Without the company I don’t think I would be able to achieve my goal in buying a new house. I just want to say thanks for making a difference in my life. Because of a financial reversal, my wife and I saw our credit go from Very Good to Poor in a short period of time. It got so bad we had to sell our home. Unfortunately, we were unable to rent an apartment because our credit score was so low. In comes Ron Reed and the team at RMCN. They were great! 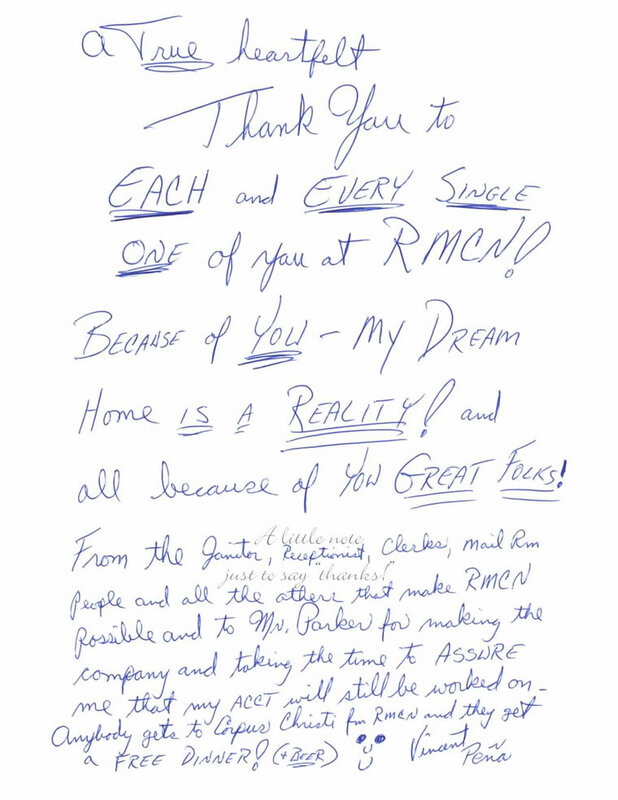 Ron was patient, very professional, and efficient with his help.We were able to get into an apartment in a relatively short time, not to mention the positive impact that RMCN was having on our credit. It has only been a few months, but we hope that soon our credit will be where it should be….out of the basement and into the clouds! My name is Jack Glenn Woolverton. I am proud to say that RMCN Credit Services, and Ron Reed have done an absolute outstanding job on repairing my credit. I have had to have my credit repaired more than once. My nephew assumed my identity 3 times. I had ICR credit services do it the first time in 1998 and a few things came off. I was pleased. I moved back and forth to Washington D.C. with the United States Marine Corps. I used ICR again in 2002 after my nephew stole my identity once again. (This time I filed charges.) And yes, ICR was cheap. You get what you pay for. Little did I know that they (ICR) provided poor service and were lacking in completion and follow up skills. There were items that remained and failed to come off. I did not realize there were better, more qualified services that were thorough. They did a horrible job. The guy in charge of the operation in Upper Marlboro, Maryland, did not even get so much as started, much less provide menial results. They just dropped me in the grease and took my money. Still being in a bad spot, I continued to pay cash for everything. I, again, couldnâ€™t finance a pickle on a hamburger. People would ask me for gas money for the car I test drove after they pulled my credit. It was embarrassing and degrading. I did nothing wrong. I learned as much as possible about my rights and what I could do. I figured I would do it my self. I wasted 3 months of trying to write the letters and do it my self. Right! â€¦.no wrongâ€¦really, really WRONG. That would have taken me several years and it was a full time job. I tried and failed. Donâ€™t ever do it your self. I was fortunate enough to have met Ron Reed in 2005. He told me of their services and I told him I got burned pretty bad from the last company and was not interested. Ron was persistent in showing me results and told me the great stories. I finally said, â€œDO IT! I paid the fee, which was worth 10 times what I paid when the results came in. RMCN DELETED 13 ITEMS THE 1ST ROUND. There are 4 or 5 stages. I thought the monitoring fee was a bit much, AGAIN WRONGâ€¦..look what happened with ICR. If my nephew was not already incarcerated, I would gladly pony up for the fee for EVER just to give me piece of mind. Now, granted, they are about done and I have seen many more deletions and I am in the final stage. So I guess their may be more good news to come. 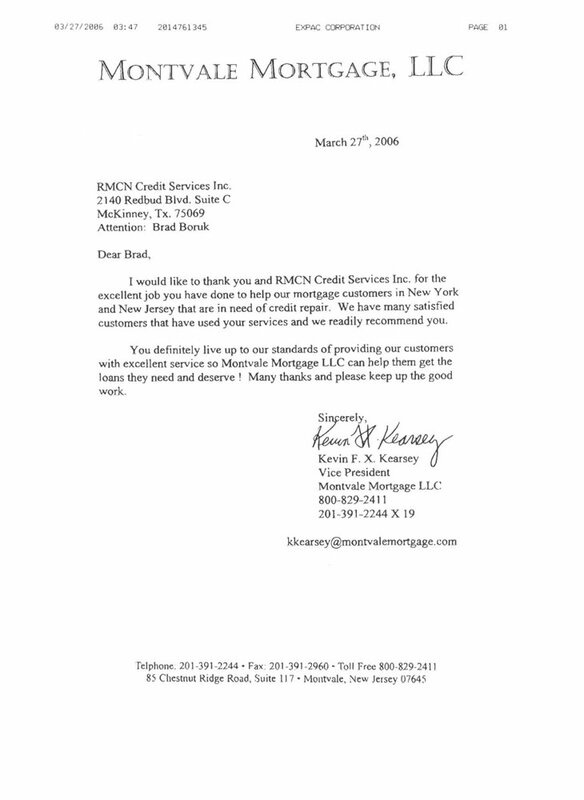 RMCN Credit Services and Ron Reed, THANK YOU SOOO MUCHâ€¦..if I ever need this service again, I wonâ€™t go anywhere else. Oh and if you are reading this letter. I was never paid nor compensated for zip. No freebies here. I am just a COMPLETELY SATISFIED CLIENT. I welcome your calls or emails. I still have the results as they came in. Totally awesome!!!! Make sure to make your own copies. I have just qualified for a personal loan to pay off some credit with a low interst rate. my credit score was 650 and no late payments….i am so happy. thank you so much for all your help…….. I just wanted to say how happy i am with the service RMCN provides. RMCN was able to remove all negative/inacurate information from all three of the credit bureuas. thanks again!!! just two days ago I pulled my credit score, and it is unbelievable! I knew that it was better than when I started with you, but not THAT better! I will recommend you to anyone and everyone! Repair My Credit Now, Inc. It has been a dream of mine, for some time, to own a home and I didn’t have the credit score to qualify for a good interest rate. I came to a point in the growth of my business that I needed a larger office and continuing to work from home was the only option. I have been a renter since leaving college and just began looking for a larger apartment. I heard your commercial on the radio one day and called. You do not know how much that call helped me. I think I had to be one of the worst you had seen, but RMCN went to work on my report and 8 months later, I OWN A HOME!!!!!! I am a believer and want to shout your praises from the roof tops! I will continue to tell everyone about you and your service. I went and bought my scores and three in one reports last night to find out how we are doing. I had bought the same thing from another site 2 months ago. The results that I can see is that transunion has come up 30 points to a 597 from the 560’s, experian and equifax are both over 600. Equifax has come up somthing like 30 points also. This being in a 3 month period is an outstanding raise in levels. this is just comparing both reports because I bought 3 month service from both to track all this stuff. I will say this that every penny that I have paided and am paying you guys is worth it. Its tough to think that there is another company out there that does a better job in their industry. RMCN and Alan Humphris have done a fantastic job in taking the time and effort to get my credit score up higher. In fact RMCN has worked so hard for me that they have raised my score over 100 points in a short period of time. I am about to be in position to stop throwing my money away renting and start looking at purchasing a home due to this great organization. I would suggest these guys to anyone looking to improve their beacon score. There are several companies around to choose from and I have tried some of the rest, but these pros are the best. Subject: Re: Here is my e-mail address. 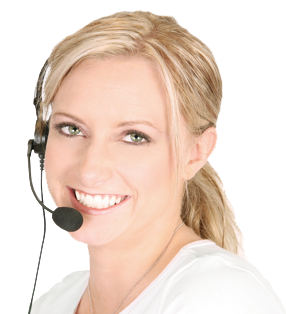 I wanted to thank you for all the help in the credit repair process. Although, my husband and I were a little skeptical at first I have to tell you this was the best thing ever. In the last 6 months our lives have completely turned around, I’ll list a few things just to prove it. We were approved on our home – 3 bedroom 2 bath 2 car garage on 2 acres complete with horse stalls and barn. We just purchased brand new furniture from a “real” furniture store instead of the rent to own places that we have had to buy from before. One last financial landmark that I never thought would ever be possible – I was sent a a credit card from American Express – a real credit card. WOW.. All of this could not have come at a better time – we have a newborn baby that just turned three weeks old. She was born April 10Th. Alexis Grace has joined our family adding to the 3 boys and 1 girl – she makes a great addition. Mr. Wilkerson – that you for all the continued help along the way. We would like to continue the credit repair process until we have reached our highest credit rating possible. Hello. I just wanted to say thank you for such a fabulous job with the Duncans ! They are SO happy. I do not have Felice’s information anymore. I am interested in possibly making an auto lease and I was not sure if your brother could help me with the financing, the auto, or both. I spoke to him a while back before I really knew what direction I wanted to go in. I would really appreciate it if you could please forward my information.